Wide Teams | Photo Day! Office workers keep photos of their families on their desks, to remind them of their children and significant other while they are away from home. I work from home. So what do I keep on my desk? A “group” photo of my dispersed team. Here’s how I made sure every team member has a photograph of the team, no matter where they live. At least one study has shown that simply seeing a coworker every day can significantly improve the impression team members have of that person. Frequent video conferencing is one way distributed teams overcome the lack of “face time”. Another method is to make use of photos. I’ve heard of one team that places photos of the remote attendees near the speakerphone whenever they have a conference call. Have someone take your photo today. The photo must be fresh: not your stock Twitter photo, but a photo that shows what you look like today. No self-portraits, unless there is no one else around to take your photo. Hand your camera to a passing stranger, tourist-style, if you need to. We want to see how you look when you are interacting with another human, not mugging for a webcam. It must clearly show your face, and only your face. No group photos, sunglasses, or sock puppets. Prefer natural light, and use the highest resolution you can. Optionally, change your photo on your team communication tools – e.g. Skype, Yammer,etc. – to use the new photos. My team had a lot of fun with this. A group of team members who all work together at one location went outside at the same time and took each other’s pictures. Once I had copies of all the photos (it took almost a week to get some of the stragglers), I spent a few hours cropping and arranging them on a black 8″x10″background in the GIMP (an Open Source Photoshop-like tool). I did the group photo in a “collage” style, with photos overlapping here and there. Once I was happy with the layout, I collected everyone’s address and sent the photo to Shutterfly for printing. Yes, I could have printed the photos on my HP inkjet printer. But I wanted a photo people could feel good about framing and putting on their desks. So I went with a professional photo-printing company. Of course, unlike seeing your coworker in in living color across the room,, photos are static and quickly become part of the scenery. I plan on repeating Photo Day every 2-3 months, to keep the portraits fresh (and to keep up with any changes in the team). Photo Day met with a positive response in my team, and personally I’ve really liked being able to look up and remind myself that I work with people who have faces, not just names in a Campfire room. It increases my “passive face time” with the team, and that helps me relate to them better. Would your team benefit from a Photo Day? Do you have other strategies for establishing passive face time? 14 Responses to Photo Day! Glad you liked it! Are there any remote collaboration challenges unique to nonprofits that this blog could address? Fantastic idea Avdi! In our workshop for virtual teams we urge people to share photos in their email signatures as well as posting on some type of group site – but having Photo Day and actually combining them into a collage like that is a great idea! I will be sure to include this suggestion in our workshop moving forward and will be blogging about this on The Anywhere Office too (with a link back to your post/blog of course). So delighted to have discovered your blog. We should talk about possibly going some guest posts for each other and finding other ways to collaborate. Likewise, I’m happy to find out about Anywhere Office. I’ve added it to my reading list. I like the idea of photos in signatures. I mostly work with geeks who typically stick to plain text email, but it’s a good technique to keep in mind. I’ve also been toying with the idea of using video mail, but the existing offerings seem limited. I would be happy to trade guest posts! I’m sending you an email so you’ll have my contact info. Video email is also something I recommend. Until recently I was using Tokbox (http://www.tokbox.com) which is a great free group video conferencing tool (up to 20 people) and had video email – best there was. Unfortunately they just revamped the services they offer and price points and they dropped the video email (now it’s only to leave a video mail when you try to connect with another member live and they aren’t there). I’m thinking of switching to eyejot (http://www.eyejot.com) moving forward. It’s free for 1 minute recordings but for only $30 a year you get 5 minute recordings and some other great features too. They have been around for quite a while so they have some staying power. I’ll send you an eyejot message so you can see how it looks/works! Hah, it sounds like we’re on the same page. Just last night I discovered TokBox (which I’ve used before) has dropped V-mail, and started playing around with EyeJot. Great tinhinkg! That really breaks the mold! We have a dispersed team just like yours. Everyone works at home and do not meet each other except for our yearly meetings. I think this is a great idea. I was thinking about what I coud do to increase camaraderie and “face time” like you call it. I started out with the normal blog, chat room, weekly newsletters and such, but was still missing something. Thanks to you, I think I have found it. Thanks to the good ideas by Phil as well. Awesome job Avdi. 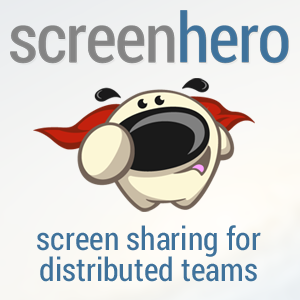 Simple yet amazing idea to foster team spirit in remote teams. Why hadnt i thought of it before! Hi to every one, since I am actually eager of reading this website’s post to be updated daily. It consists of nice data. I go to see daily a few web sites and blogs to read articles, except this webpage offers feature based writing.